From 2014 to 2017 aifoon took up a residency in Huis van Alijn, a museum about the culture of everyday life, the big and small stories of life. The central questions in this investigation were: how are visitors listening to the museum, and how can we question the modes of listening with artistic interventions? 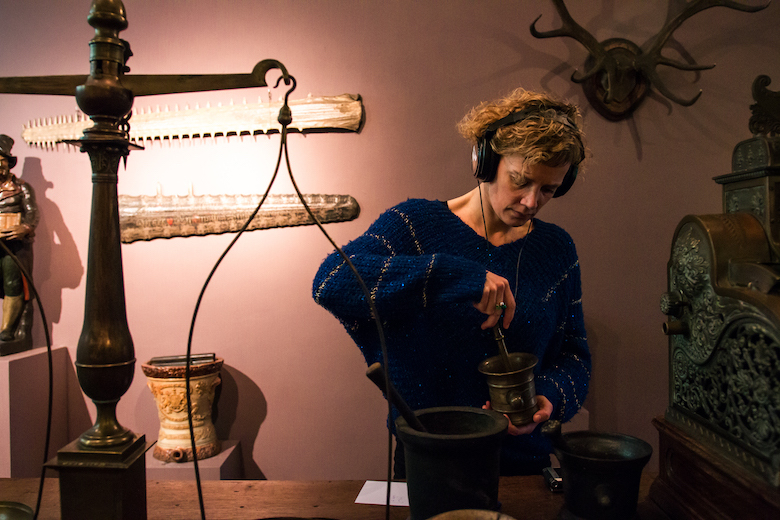 aifoon created a sound design that reinforces the atmosphere of the exhibitions in Huis van Alijn. After all, sounds also evoke images, memories and emotions. 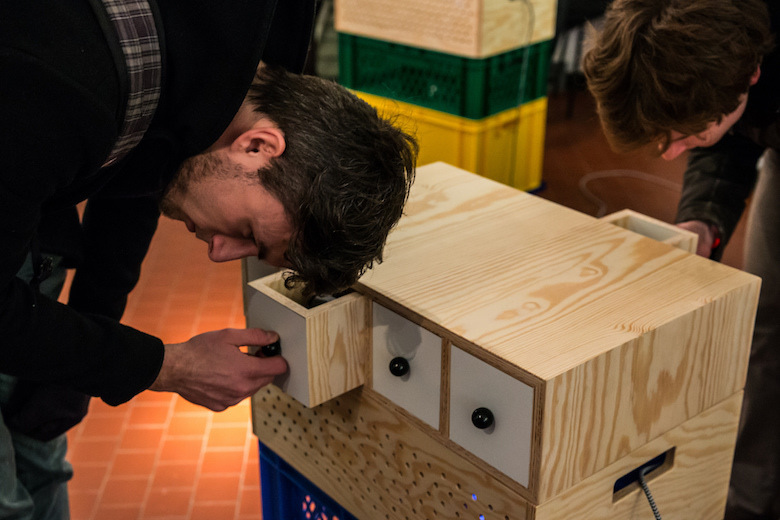 We also provided listening stations with objects that can be touched and thus trigger a sound composition that is not only audible, but also tangible. 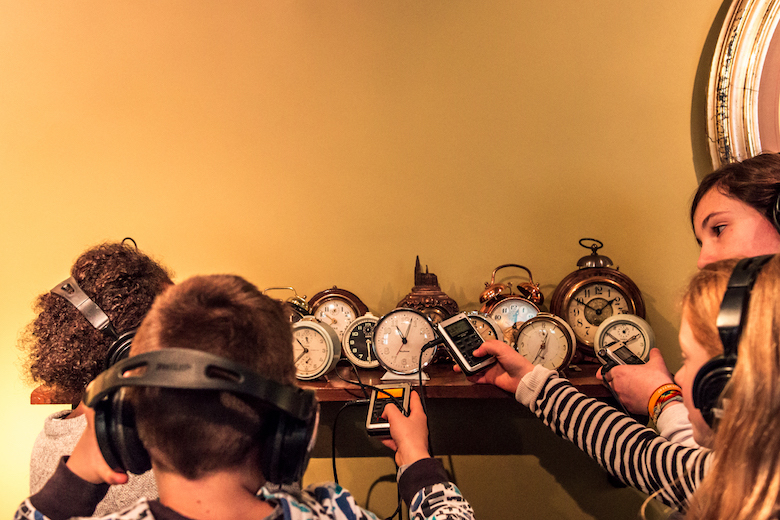 Within our residence we asked a number of questions: how do people listen to a museum? How can we create an auditory collection of disappeared sounds? And how can we make this collection accessible to an audience? We let ourselves get temporarily "absorbed" into the organization and, from our expertise, questioned the museum and the visitors through workshops, installations and interventions. This research has taken shape in various ways in recent years. Heritage Day 2015: how does a museum sound? How do we listen to a museum? ROTOR: interactive installation that is a cross-breed between a bicycle trainer and a rotary speaker, playing back sounds from bicycles in velodrome Kuipke. 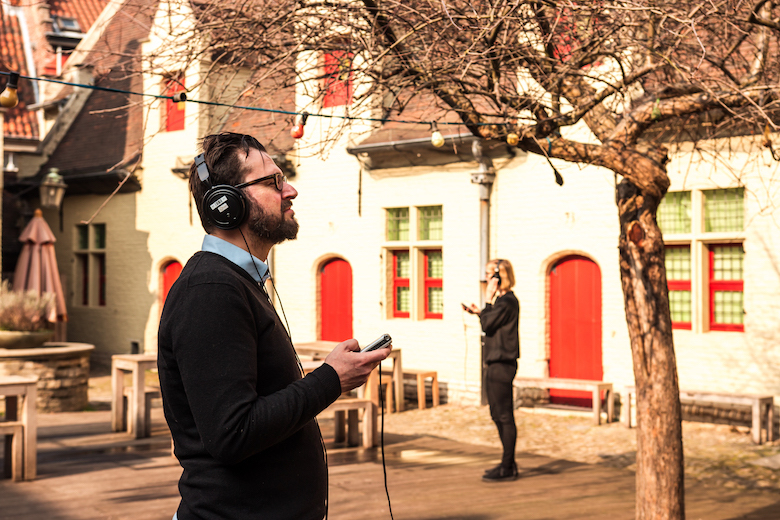 The rotary speaker throws and projects the sounds into the open space of Huis Van Alijn's Courtyard.